“The League of Arab States fully supports Syria’s right for its occupied territory. We have a specific position, based on resolutions, on this issue,” Aboul Gheit said on Thursday. The official insisted that the Golan Heights were occupied territory belonging to Syria under international law and the resolutions of the United Nations and the UN Security Council. Meanwhile, a representative of the European Union’s diplomatic service stressed that the EU still doesn’t recognize the territory as part of Israel. Earlier on Thursday, Trump took to Twitter during a visit by US Secretary of State Mike Pompeo to Jerusalem to say that it was time for the US to recognize Israel’s sovereignty over the Golan Heights, adding that the territory “is of critical strategic and security importance to the State of Israel and regional stability”. Israeli Prime Minister Benjamin Netanyahu responded to Trump’s statement by thanking the US president for his support. Read your Bible, this land belonged (before Hebrew) to Amorites and Syria people of Damascu. Who has priority here ? And what about the genocide of the Canaanites? A few towns were sacked, then since they were A SINGLE PEOPLE, they soon re-merged. Why don’t you read the Bible and Herodote? You’d learn a LOT of history that actually debunk all the lies cooked together by the Arab-League and mostly the KGB, but some others too. Look, the Abbas gang first posed as the Philistines, bad luck, they soon were reminded that Philistines were Greeks from Crete. Then they tried to pose as Canaanites, but hey, Canaanites were also Jews, they just hadn’t been captured by Egyptians…. Romans referred to the Philistines, so renamed the land in reference to Jews long gone enemies. Goliath was a philistine, the temple Samson crumbled was so. @Daeshbags-Sux, LOL. Bad if someone speaks some Arabic. And they practise double talk : they pose as victims while speaking English at the UN, look at translations from Memri or Palwatch if you don’t understand Arab. It’s compelling. Why d’you think I drive all these creeps here mad at me, but none dares to confront? Some tried, but I’m a nightmare for such. Should know. No day job? Guess how many Arabs lived west of the Jordan river in 1918, when Brits ousted the Turks at the Har-Meggido (Armageddon) battle? 8,000 in Jerusalem (on 60k inhabitants), 5,000 in Haifa, all imported from Hejaz kingdom by Turks to build the Haifa-Damascus railroad, the remainder were nomads. Jews stole land? ROFL! Most was public land, the remainder belonged to Turk businessmen and was bought by the Rothschilds’, and most of… Golan Heights too! @Daeshbags-Sux, First sold to the Hashemites during WWI. Arab Revolt. On the basis of the McMahon–Hussein Correspondence, an agreement between the British government and Hussein ibn Ali al-Hashimi, Sharif of Mecca, the revolt was officially initiated at Mecca on June 10, 1916. Was not that before they were ousted by the Bani Saud? Second sold by the Balfour Declaration that was a public statement issued by the British government in 1917 during World War I.
Brits gave ’em Jordan in 1922 (San Remo treaty). @Daeshbags-Sux, the early Jewish settlers in the Golan were no success and left. @Daeshbags-Sux, the problem is that not all Muslims were in the Turkish tax records. But never mind. According to Your own arguments the Arabs have legally immigrated to Palestine during British times. Or didn’t You realize this logical side effect? p.s. Besides that. How come that early Jewish charities and settlers bought land from Arab villager? Because they are Turks. The moment will come when the Turks will again be in Great Turkey. With 24% interest rate at Central Bank? You can’t even rent a car in Lira now. Turkey is only 1 century old. Ottoman Empire is gone. Turkey was founded in 1923. This has never been Turkey and will never be. ErdoGoon has dragged Turkey’s economy as even less reliable than the Greek one. Money is the nerve of war, baby! EU can asphyxiate Turkey’s economy by soft-power alone if we decide it! You already have 24% interest rate at the central bank! Hey, 24% interests at cntral bank! The only area you technically may PERHAPS invade to get you into the energy trade is… Iran. If the Yankees and Russians allow it. Maybe you may take Iran if allowed, since their army is a pity. But I doubt Erdogoon to be allowed. In fact, what I fear the most with Israelis are bio-weapons : nukes or CW : you can predict and control the effects. You can’t handle bio-warfare. or he needs a war to seize natural wealth. He hopes the Yanks to pull out but in fact, it’s not really happening… Moreover, there are Russians too. IF an EU country like Germany starts spending 3% of its GDP on military? That is as big as the Russian handout. I don’t understand why you bother engaging with that sack-o-shite. He must have a lot of free time in his mom’s basement. @notonato, because he is no ephemeral guest. But a regular that posts as guest. And often says interesting things. @Daeshbags-Sux, only freak chance can help Erdogan against stronger economies. @Daeshbags-Sux, nobody but you understands that you need money for war. – Maybe me. LOL. @Pink, Great Turkey will be reduced to part of Anatolia and most Turks will be sent to Turkmenistan. @Daeshbags-Sux, it was not illegal. Since the Brits did nothing. Illegal Arab immigration in Jewish-Palestine, Stern! @Daeshbags-Sux, yes maritime policies of deceit. @Daeshbags-Sux, no illegal immigrants – the Brits wanted and legalized them. @Daeshbags-Sux, that page does not hide that the many Palestinians are from the so called east Palestine. So no illegals but going around inside Palestine. Which is no more illegal than going from Normandie to Picardie. @Daeshbags-Sux. but the infamous Great Mufti was not Arafat’s uncle. Daß allerdings Haj Amin al-Hussaini der Onkel von Yasser Arafat gewesen sei, gehört ins Lexikon der populären Irrtümer. Nicht der Mufti, sondern dessen “enger Freund und Bundesbruder”, Scheich Hassan Abu Saud, war Arafats besagter Onkel. The critical strategic and security importance of the Golan to Israel does not matter. UNSC res 242 finds the conquest of land unacceptable. So the Golan must be returned – when Syria and Israel make a peace treaty. UNSC res. 497, adopted unanimously on 17 December 1981, declared that the Israeli Golan Heights Law, which annexed the Golan Heights is “null and void and without international legal effect”. You should re-read UNSC Res 242 : it’s not a binding one. It says Israel SHOULD give GH back, and ALSO that Syrie SHOULD seek peace with Israel. Israelis would rather spread all the 50+ years of nuclear wastes they produced in Dimona on GH rather to see it back to Syria with Hezb using missiles there. @Daeshbags-Sux, there were no UNSC resolutions during the US Latino wars. BTW. The Latinos already have much of the old Spanish area by efforts of the cradle and immigration. The Iranians will return to Iran. Then the Turkish army will arrive (many Turks are practicing in the German army). @Pink, no the Turks pay to go to the Turk army. @Daeshbags-Sux, Summary: IMHO You do not understand the two resolutions about the Golan at all. On the condition of a peace treaty Israel will have to return the Golan. That is what is said in diplomatic words. Because before Your “should” UNSC res 242 is already “Reaffirming that the acquisition of territory by force is inadmissible”. And UNSC res. 497 only repeats that. p.s. Neither Syria and Israel adhere fully to UNSC res 242. Atlast the arabs stop stabbing each other in the back!! Now if they could stop supporting terrorists and american adventures into each others countries then they might beable to get on with the subject of living life in a semblence of normality! In 1920, prince Faisal al-Hashemi (played by Alec Guinness in 1962 ‘Lawrence of Arabia’) was OK with it since he wanted Syria. How did Adolf Hitler, the son of Jews, set up the first crematorium? The Turks’ birthrate is 5 children, and the birthrate of the Jews is 1 child, and this one has Down’s syndrome. @Daeshbags-Sux, Goebbels and Hitler did not come first – it was President Wilson who created the Committee on Public Information and waged a war of intimidation and blunt suppression against the ethnic and socialist papers that continued to oppose his war. 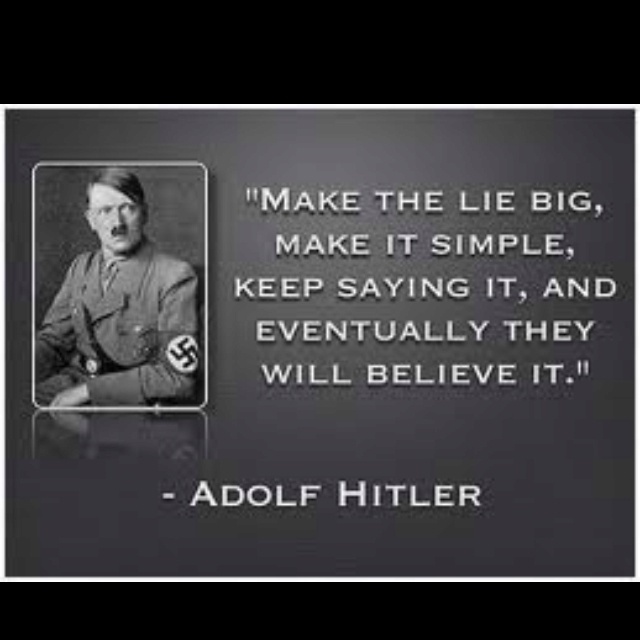 The Anglos want and started to wage this war of falsehood and trust the Germans to perfect an idea. Zionism=Nazism, two sides of the same coin. @Daeshbags-Sux, true. The foreign French and the French fighting in foreign Charlemagne division were and are the bravest. @Daeshbags-Sux, You are arguing against Nulla poena sine lege like a buthurt Brit or Yank. Foreign Waffen SS soldiers were no more treasonous to their respective home countries than French Foreign legion soldiers. Note German Fascists also held the German Foreign Legionaries as traitors. So You should really join my opinion that Milice and others were legal at the time. And that their punishment was against ulla poena sine lege. @Daeshbags-Sux, the conference was after Wilson’s 14 points promised self determination to all nations and not just the Entente. Where is the ballot among the people in Palestine? So all our emmigrants and refugees from You are revenge? You will not even take them back. No way these morons will uproot Israel, all they’ll end with will be the 4 horsemen as pharaoh got the creeping death on Egypt. @Daeshbags-Sux, not only the Dresden Crime – the Allied food policy and other crimes against humanity decimated the German population by up to 12 million. Face it they committed Nazi style war crimes too. And are even proud of it. @ Stern Daler, That is true. Enough blood on hands of all participants. Dresden civilians were burnt alive. A large number died due to fires, do not recall the number of victims for that particular crime. know many Iraqi civilians died due to US Sanctions also. I am against all sanctions as they only effect the civilians. Evil comes in all forms. Starvation vs burning, results the same. @Sweet Robert, i totally agree that the US and before them the UK are and were totally negligent of the collateral costs of their often illegal sanctions and blockades. Example from WW II. After Greece had been occupied by Germany the UK imposed a blockade of food imports to Greece. And since Germany could or would not send food by land – many civilians starved. This started the Greek partisan rebellion / guerrilla war. Only after that rebellion had started the UK allowed hunger relief. Design? Yes Stern the crimes if not worse were more abundant. 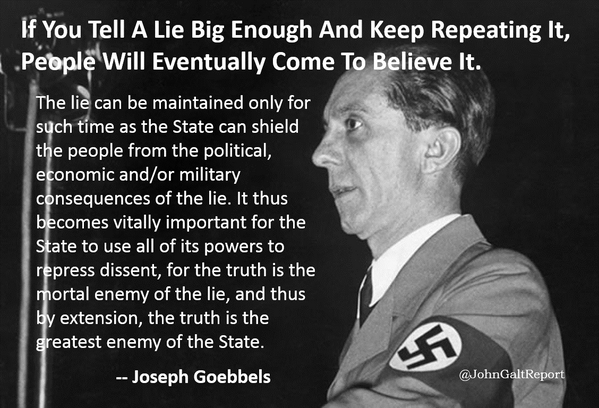 That’s why the debacle of the Nuremburg trials came about, so that the Allied war crimes could be hidden behind the mother of all lies and deception… the holocaust, or holohoax as it should be rightly called. @Rabbe, it does not matter that the numbers were possibly rigged – no one can deny that millions of innocent Jews were killed – so IMHO it is no hoax but a holocaust. @Stern, Numbers definitely inflated. Many genocides all over the world. What is alarming is the fact the Government of Israel never recognized the Armenian genocide. My first response is hypocrites and my next response is Israeli bigotry. I suppose to admit that other folks bleed might force them to acknowledge Palestinians are human too. @Sweet Robert, definitely all should recognize all the genocides of WWI. Why, do you think the Germans love the Turks? @Pink, Germans love the Turks because they think anyone must be allowed to keep them as pets. @ Pink Turks very much admirers of all Nationalists more so the Japanese. Turks in Germany achieve very good results in computer programming. The best will hacker, and then the Israelites will be poisoning with their own poison. @Pink, wrong – male Turks in Germany have no education. Turk females in Germany have other jobs than hacking. @Dean Davis, UNSC res. 497, adopted unanimously on 17 December 1981, declared that the Israeli Golan Heights Law, which annexed the Golan Heights is “null and void and without international legal effect”. @Daeshbags-Sux, the Pentagon’s budget stands and falls on other nations using the Bretton Woods monetary system. @Daeshbags-Sux, Blackmail or no. The resolutions are international binding law. Law is always symbolic if strong perpetrators transgress it. Your old French being exceptional? @Dean Davis, The killers in Syria were paid by the US and the Gulf. There are no killers but defenders in Damascus now. Hezb and IRGC ain’t better… IRGC is organised just like the Waffen SS, with the Basij in the Gestapo role. Khamenei gives $7,500 for every Israeli murdered, even babies. Since when? If it was Israeli, why did they formally annexed it only in 1981? Yes it is non-negotiable on the Arab side. We shall take it by hook or by crook and so shall we take Jerusalem, West Bank and Gaza. 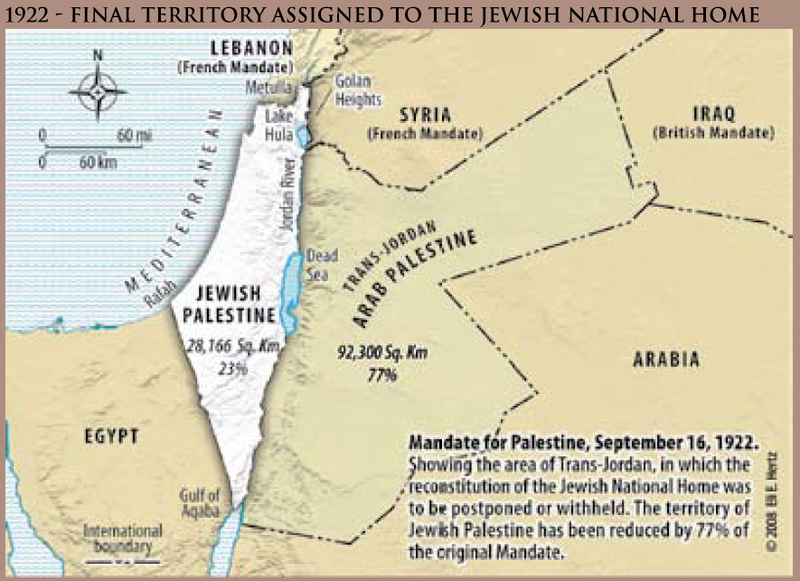 Israel shall only be allowed to exist in pre-1967 territory and if your foolish leader does not agree to it, this European colony of Israel will lose additional territory. It will not be long. One honest election will no president Assad.